There are many guides for WordPress SEO spread throughout hundreds of blogs across the internets. Some of them have fairly useful strategies and others are simply a waste of your time. 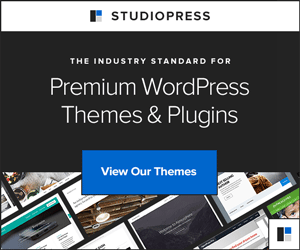 The default WordPress theme is pretty descent but when it comes to using other themes you never know how good, or bad, the theme was built for optimal SEO friendliness. I have compiled what I believe the be the definitive sources for WordPress SEO. Below you will find a list of top search engine optimization tutorials, the best plugins to use, and some awesome wordpress themes that take care of almost 100% of your SEO needs with little tweaking. Let’s face it, the average blog designs these days are somewhat cookie cutter and a bit boring. You see a lot of rehashed free themes and you as well decided to use the same design that everyone else does. Time to change that by giving your blog some unique but very simple styles. How about using different styles for your wordpress categories? Using custom fields can be confusing to WordPress noobs. Scott Ellis provides an introductory explanation of how to use wordpress custom fields for image placement and the components that go into making custom fields work from front end placement to back end utilization and code. We use this code here on WPswitch so you should to, or not..whatever! In your theme folder, paste the following code to the functions.php file. If you don’t have a functions.php file, create one. So you have bazillions of followers on Twitter and you want to display your Twitter dominance to all the people who visit your blog huh? If you are not a fan of plugins you can display your follow count in plain text and style it to your liking later on. This code allows you to be able to search for character names in the search bar, and for the engine to find it in the tag, titles, and descriptions of NextGen images and posts. Adam Purcell of Hungry Dog Media walks you through all of the steps needed to create your first eCommerce website with WordPress. He adds a full ecommerce system and shows you how to have your product online, for sale in under 5 minutes using the WP e-Commerce plugin.